Once again, Serene Scenery Designer Series Paper has come to the rescue and halved the time needed to make this card! It didn't take very long to cut out the elements of the large balloon and glue them together. I wanted the smaller balloons to appear more distant, so I stamped the medium sized balloon with Basic Gray ink and the smallest one with Smoky Slate ink. Both of them received a very hasty colour with some watercolour pencils and an Aqua Painter before cutting them out with the matching dies. 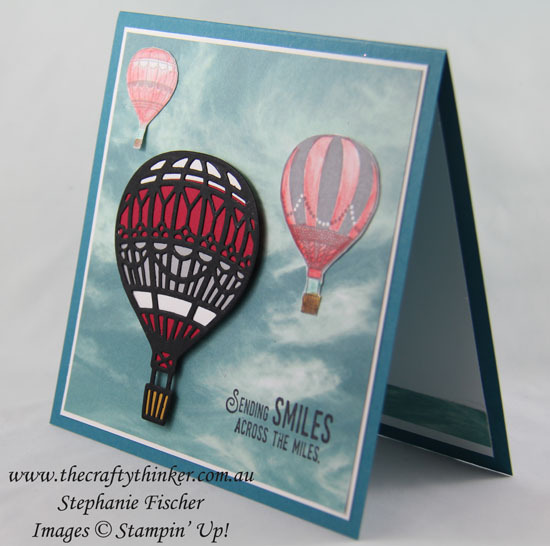 The Lift Me Up Bundle is so versatile and appealing! 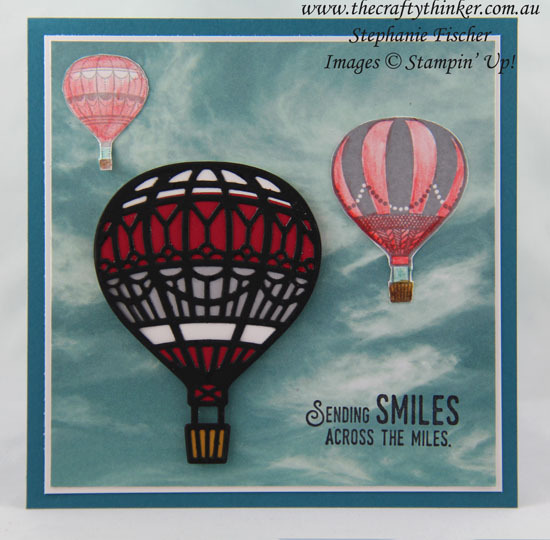 I stamped the greeting in Basic Black ink, layered up the papers and then adhered the balloons, using Stampin' Dimensionals for the large balloon).